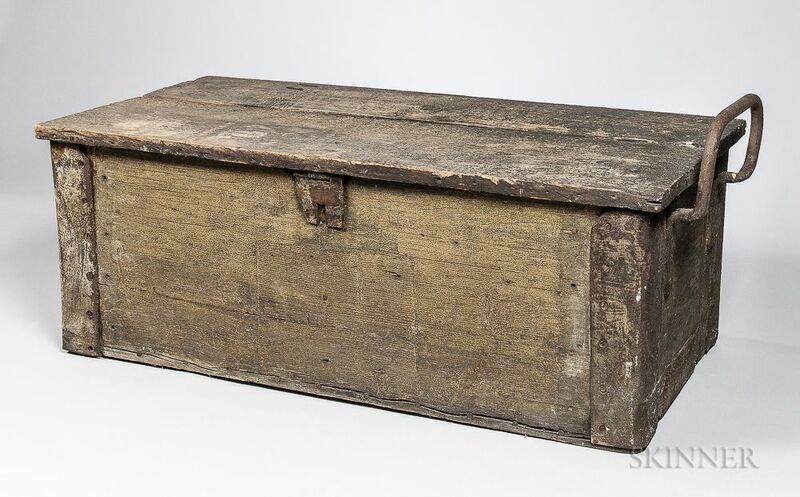 Confederate Limber Chest, c. 1862, wooden chest with iron fittings, iron grab handle (one missing), crude iron chisel-cut corners and hardware, (crash plate and toe straps are missing but their ghosts can be seen on the chest), ht. 16, lg. 43 1/2, wd. 21 3/4 in. Provenance: Found in a barn in the lower Shenandoah Valley, Virginia. 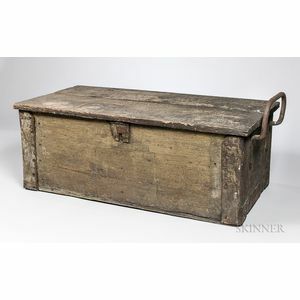 Has wear from age, some iron missing and the cloth/zinc/copper lid cover was removed probably for other uses after the war.